reddie Spencer’s nightmare came not from a change of make but of model, from nimble three-cylinder NS500 to the cumbersome V4 NSR. The NS was torquey and practical; the NSR an engineers’ pipe-dream. The fuel was carried underneath, the dummy tank filled with expansion chambers. The power was warblingly high up the rev range. And it had carbon-fibre wheels. The upside-down horror was so bad Freddie persuaded Honda to bring back the triple mid-season; a massive loss of face. It was too late. First time out in public, one of the wheels broke. 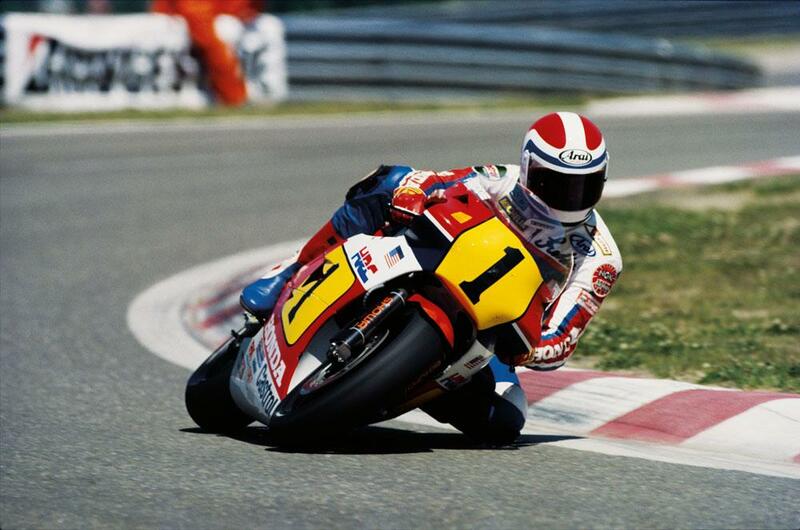 Next year Honda went back to a conventional layout, and Freddie was off again, to win the title.